In the new issue of NME, Jaimie Hodgson explains how dubstep took over the world in 2009. He notes that the genre has spawned “a slew of hybrids and offshoots” – and that’s true, but there’s a key subgenre he neglects to mention, and that’s funkstep. A brief history of funkstep? 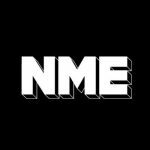 Last year Prancehall wrote an article for NME on the new sound that was set to take over, funky house (Fish Go Deep, Crazy Cousinz et al). That intermittently thrilling scene mutated into UK funky (more bass on the production, more MC-ing), which briefly threatened to become the most electrifying underground movement since grime. UK funky acts such as K.I.G, Gracious K, Dotstar and Funky Dee all achieved viral popularity with their nursery rhyme/sing along/skank-themed tracks and videos. And it was fun for a while – but it’s since become more than a little stale. Where previously grown adults (25 plus, mostly women) would go to funky house club nights and get to hear deep/soulful/tribal house, now those same nights are heaving with young people (18 plus, predominantly men) jumping around the place to these annoyingly catchy, juvenile MC tunes. Fortunately, all is not lost. A new genre is starting to percolate, spearheaded by recent NME Future 50 act Cooly G, along with kindred spirits Geeneus (owner of Rinse FM), Roska and Scratcha DVA. They’re calling it funkstep – since it blends UK funky sounds with a hefty dose of dubstep. Intrigued? For an overview of the scene, download Scratcha DVA’s free mixtape Powerhouse & Funkstep, which features tracks by recent Mercury Prize winner Speech Debelle and more.